Clare started volunteering with us in October 2013 and throughout that time she has developed a keen knowledge of the business from the contact centre. In April 2017, Clare became the first salaried member of the contact centre and provides a sense of stability. Along with her team of volunteers, she is the first point of contact for members of the general public to organise and sort donations for collection. She also diverts enquiries for house clearances and ensures that any contact that comes her way goes to the relevant department. 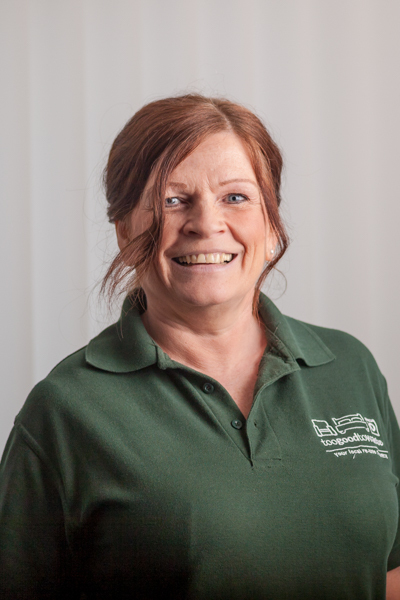 Clare enjoys the friendliness of the workplace and gets satisfaction from doing her bit for the environment. When not at work, Clare enjoys quality family time, going to the cinema and out to eat.